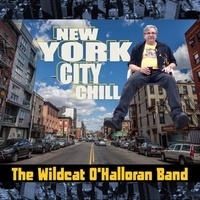 The Wildcat O'Halloran Band has been keeping the blues alive in New England for over 20 years. They've opened for everyone from Greg Allman to the Stray Cats, been Bo Diddley's band, and accepted stolen hot dogs....from James Cotton! After a concept album in 2016, they're back to the one true blues with HOT PULLDOWN, a new album just reaching a radio station near you!